Established in 1921, Horrocks & Boyd are local eye care and eye wear experts. Their website had fallen out-of-date and was tricky to use on smartphones. Figment set to work on modernising the brand whilst retaining a heritage feel. The result? A beautiful, mobile-friendly website powered by WordPress and perfectly optimised for local search. Rebranding & New Colour Palette. Heritage. A word that held a strong focus during this phase. And whilst modern eye-for-design is part of the Figment approach, a sense of tradition was imperative. The new Horrocks & Boyd logo not only achieves this – with an original colour scheme and typeface – but provides a brand identity worthy of a company with such an outstanding reputation. Love At First Sight. And Second. Consistency is key. That’s why the fresh colour palette in Horrocks & Boyd’s new branding was utilised throughout the website design. The website itself keeps authenticity with a clinically clean style. 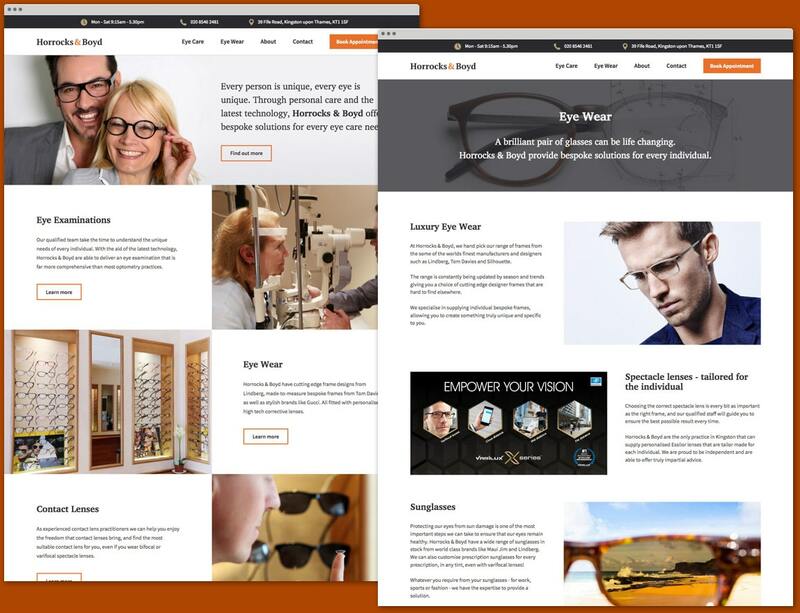 Smooth retina-optimised graphics, custom-designed icons and a fast-loading navigation mean the site is a joy to use for customers of all ages. Clear First Steps – a Better User Experience. User experience is at the very heart of Figment’s design process. 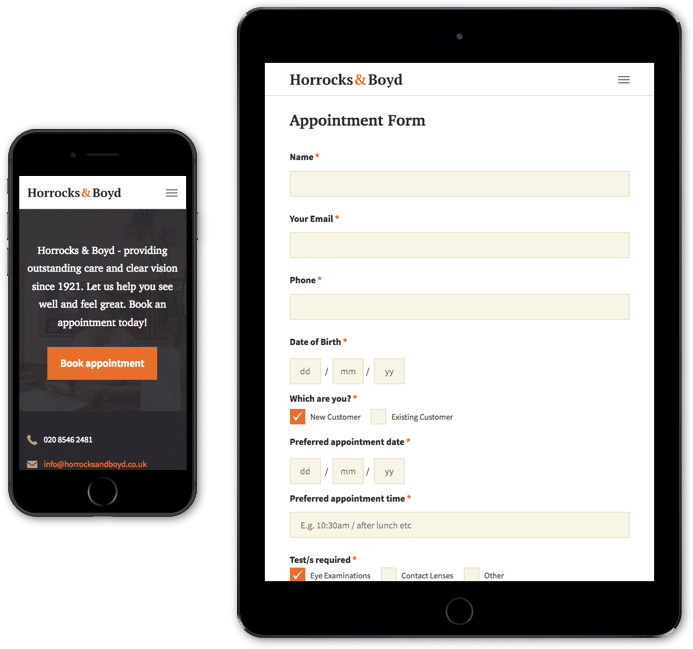 Having consulted with Horrocks and Boyd, Figment produced a truly accessible booking form that works perfectly across all devices. The impact? Increased website bookings and happy customers. Now that’s vision. The team at Figment have produced a great new website for our business. Steve, Emma and the team have been a pleasure to deal with. The job was completed on time and on budget. We had a number of queries during the development process and the response was always prompt and helpful.